Carol Adelman of Adelman Peony Gardens in Salem, Oregon, will present an illustrated lecture about her experience growing peonies to sell as cut flowers and as plants. She will cover all aspects of peony culture (siting, soils, planting, and diseases) as well as tips for growing them in your own garden and using them as cut flowers. Tree, herbaceous, Itoh, and species peonies will be covered as well as new varieties to consider. The American Peony Society’s “Award of Landscape Merit” criteria will also be mentioned along with peonies having received that award. Now 23 years into peonies, Carol has been a multiple award winner at the American Peony Society flower competition. Adelman Peony Gardens (www.peonyparadise.com) supplies cut peonies nationwide in spring and peony roots nationally and internationally in the fall. Carol also hybridizes peonies and is co-author of Peony, The Best Varieties for your Garden, published in 2017. 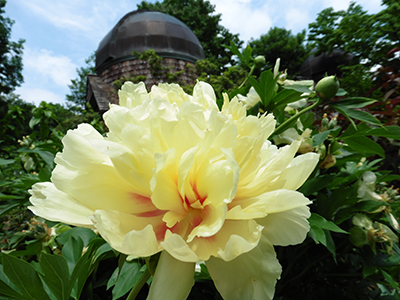 Following the lecture, the Mid-Atlantic Peony Society will hold a reception with books and peonies for sale. Autumn is the perfect time for adding peonies to your garden! Free and open to the public.